Ruth (Juneau) Schwarzbauer, 87, of Sturgeon Bay, died at Scandia Village in Sister Bay on Monday, Dec. 3, 2018 with her husband, George, by her side. 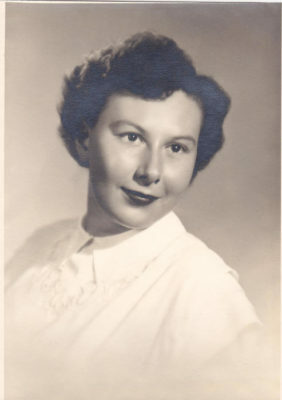 Ruth was born on Sept. 8, 1931 to Elmer and Elsie Juneau and graduated from Appleton West in 1950. She married George Schwarzbauer on June 26, 1954, and they enjoyed 64 years together. She raised a family in Appleton, and Steve (Karen), Michael, Paul (Deb) and Juli (John Sauer) will miss her very much.